I’ve teamed up with Omaha Steaks to help showcase some of the incredible deals they are featuring this August. 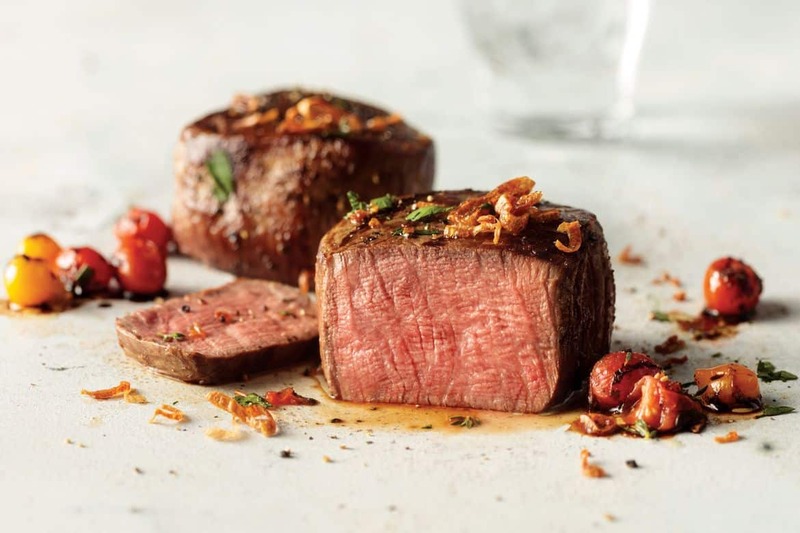 This Omaha Steaks Review will highlight some of the incredible savings and deals that I came across as well as the top of the line product finds I selected to receive. As a family of five, it just makes sense to buy our meat through Omaha Steaks because the quality is there and the discounts are incredible. I just received a shipment from Omaha Steaks and wanted to do a full Omaha Steaks review so you can see just what I got in my box. Not only was my order absolutely fantastic, but it was truly convenient to put together. SO EASY!! I am someone who loves to shop online and the fact that I can literally place my entire month’s order with one SNAP is truly awesome. Take a look at my Omaha Steaks Review video to learn about the food deals that are coming up for this month. You won’t want to miss out on this unboxing video. Especially if you are a filet mignon lover! Just in case you don’t have a lot of time – I wanted to call out two deals in particular. One is a FLASH deal and it cannot be missed. People, On August 15th, Omaha Steaks will sell their Butcher’s Breakfast Skillet Meals for $1 at retail stores. I REPEAT!!! The Butcher’s Breakfast Skillet Meals will be just one dollar at their retail stores. Click here to find the closest store to you. What are you waiting for? What did you think about this Omaha Steaks Review? So much meat goodness online. YEOW! For more information about these great deals, visit Omaha Steaks. *I am an Omaha Steaks ambassador. All opinions regarding this Omaha Steaks review were my own.